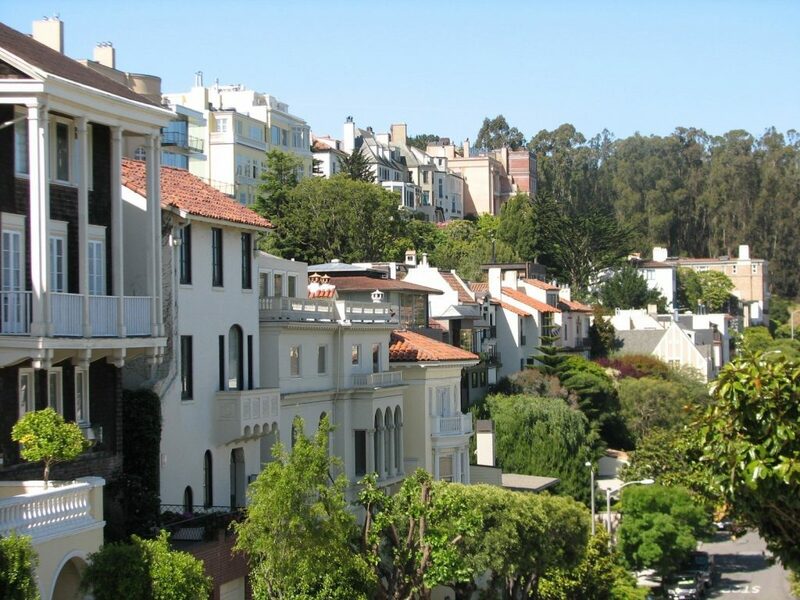 Pacific Heights, San Francisco was first developed in the 1870s, with small Victorian homes built. Starting around the start of the 20th century, and especially after the 1906 San Francisco Earthquake, many of these small homes were replaced with period homes. Still predominantly residential, the neighborhood is characterized by painted Victorian-style architecture. 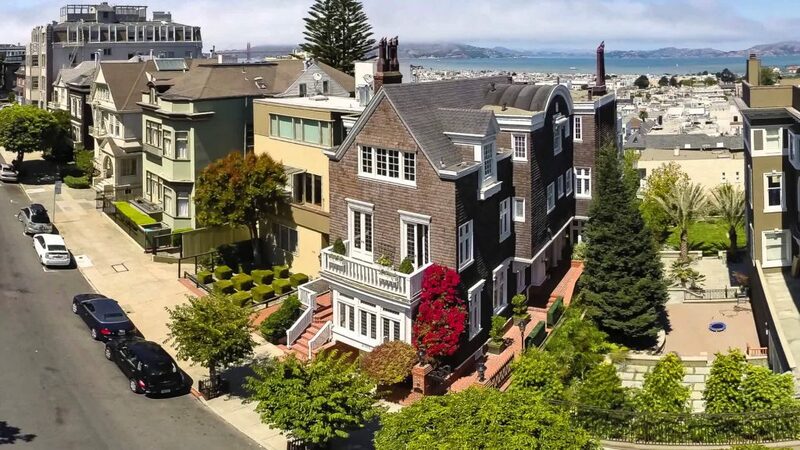 Home to the billionaire Getty Family, Representative Nancy Pelosi and author Danielle Steel, along with the Full House and Mrs. Doubtfire homes; Pacific Heights is one of San Francisco’s finest, most well-known and desirable neighborhoods. The oldest building in the neighborhood, located at 2475 Pacific Avenue, was built in 1853, although the majority of the neighborhood was built after the 1906 earthquake. The architecture of the neighborhood is varied; Victorian, Mission Revival, Edwardian, and Château styles are common. Several countries have consulates located here. There are a ton of options for dining and recreation. Small businesses, little bars and coffee shops, restaurants (see list below) and groceries can be found here. Residential-wise, single-family homes, condos, high- and mid-rise apartments can be found in this fabulous San Francisco neighborhood. Most mansions come with their own garage which is good since Pacific Heights is hilly and most of street parking is occupied because of the busy commercial options. Here is a recent list of some of the best restaurants in Pacific Heights. Which ones have you been to? Which is your favorite restaurant? An annual highlight of the neighborhood is the Fillmore Jazz and Art Festival. Usually held around the 4th of July, this is my favorite of the summer street festivals! Adjacent to Pacific Heights in Cow Hollow, the Union Street Fair is especially popular with younger adults and families. Stay tuned for this annually the first weekend of June. 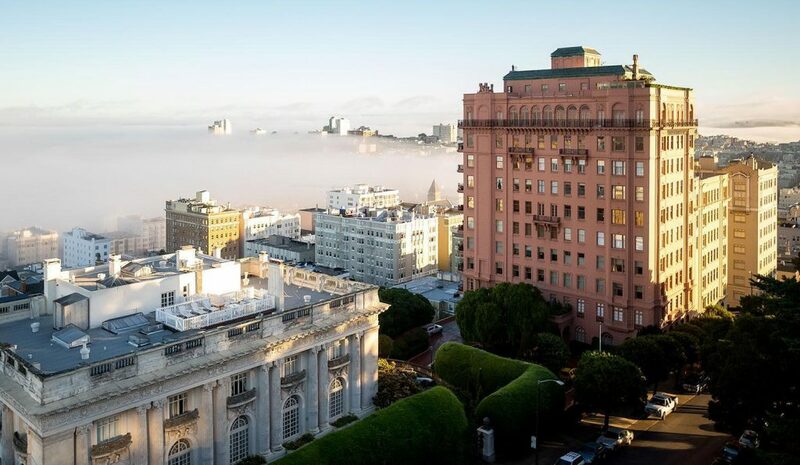 Is Pacific Heights for you? Known as one of San Francisco’s most expensive neighborhoods, it’s undeniable that this is a small–or even large–family dream location. It’s safe and quiet yet still accessible. IF you are curious about the value of your home compared to those in Pacific Heights, feel free to check it out at Your San Francisco Home Value.